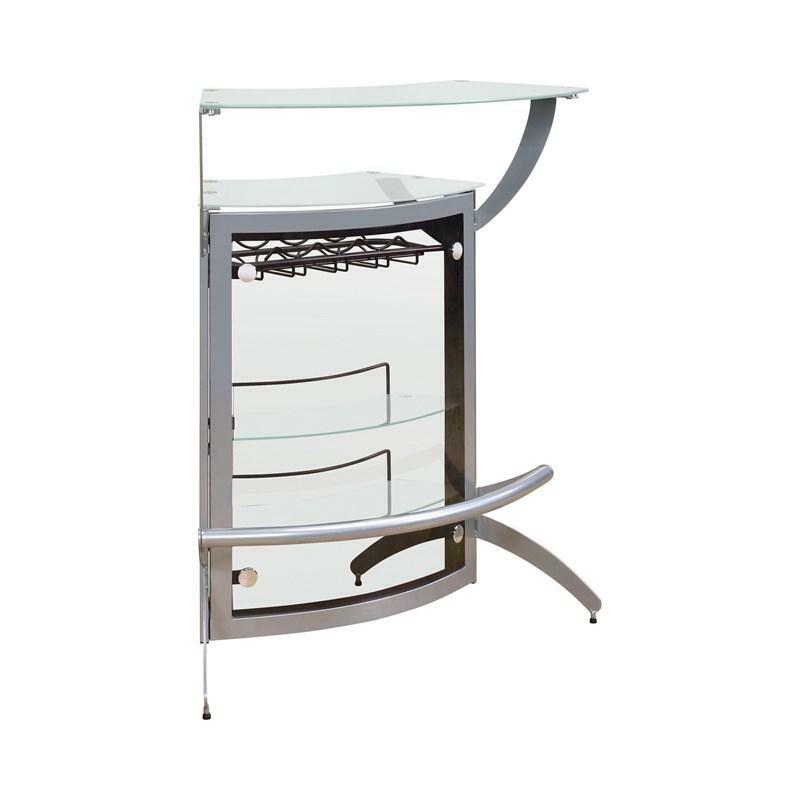 finished in chrome. 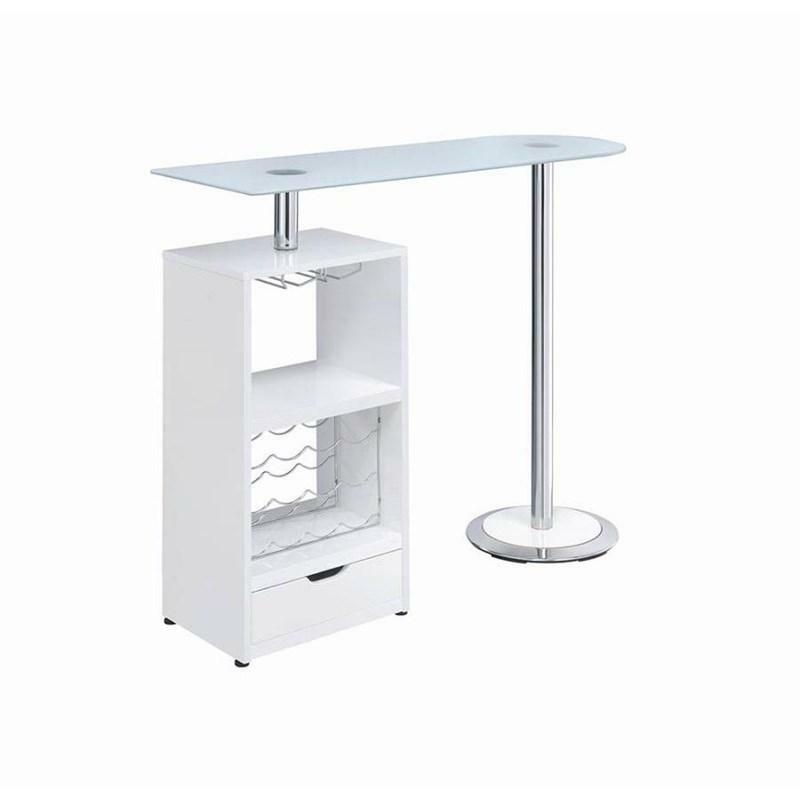 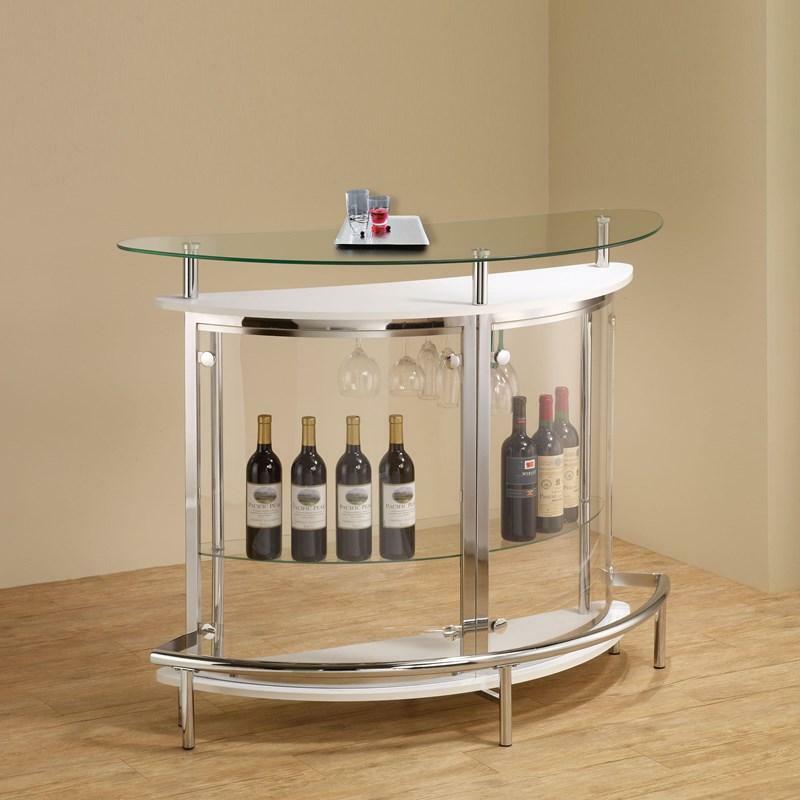 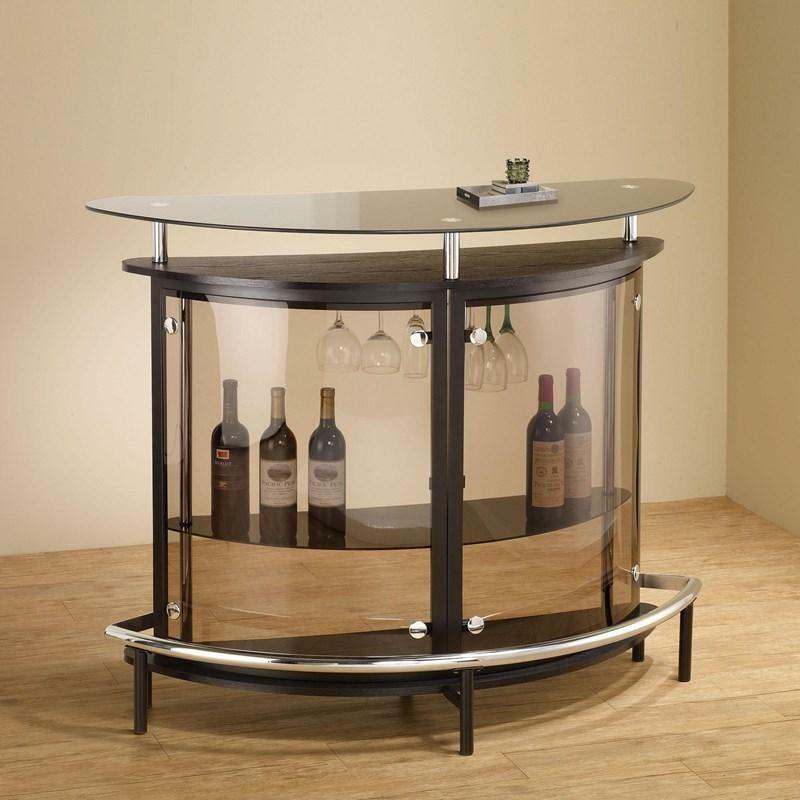 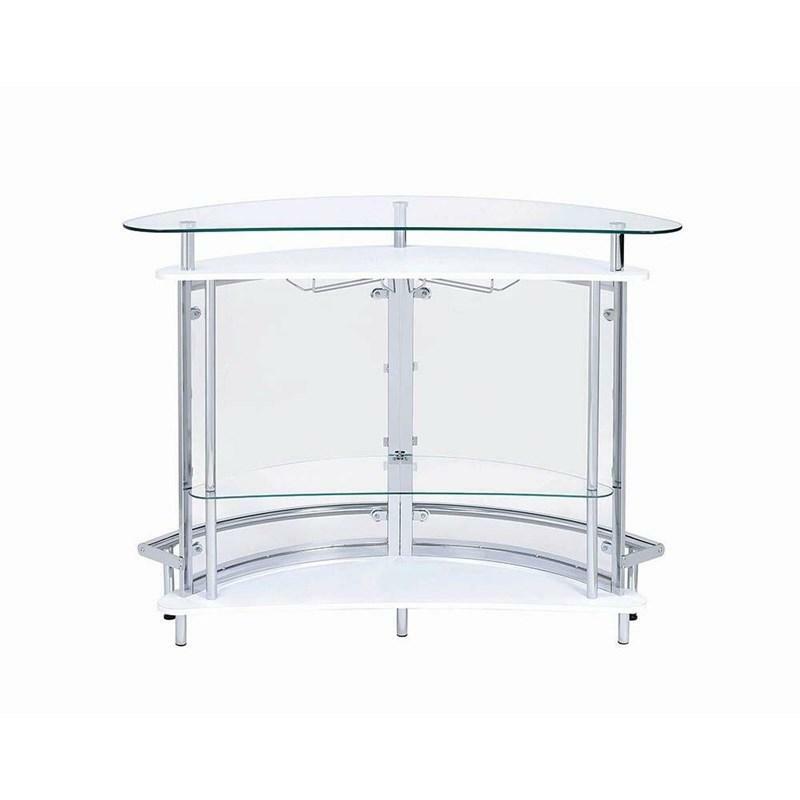 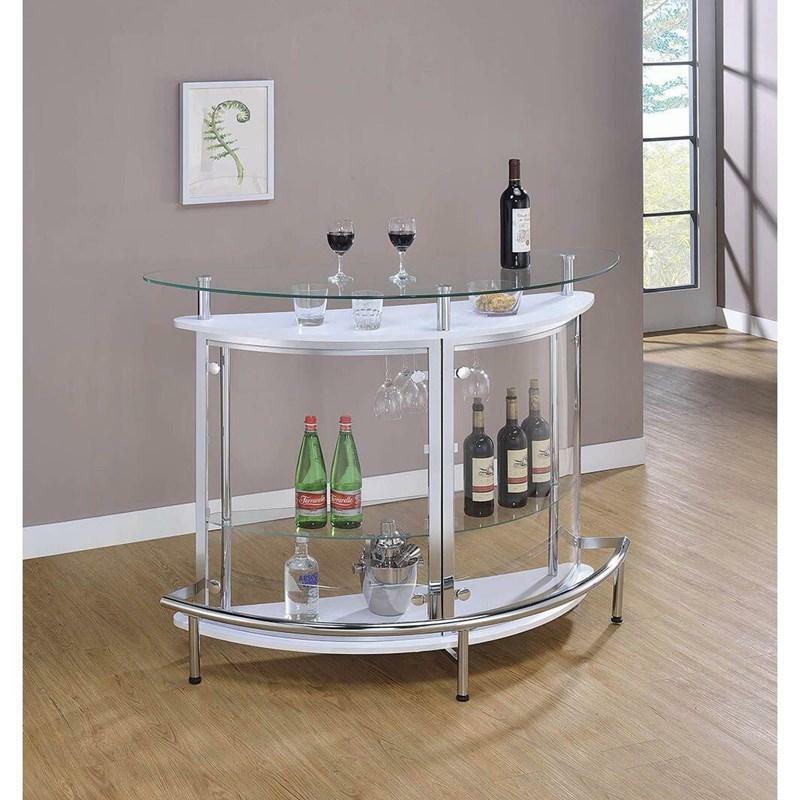 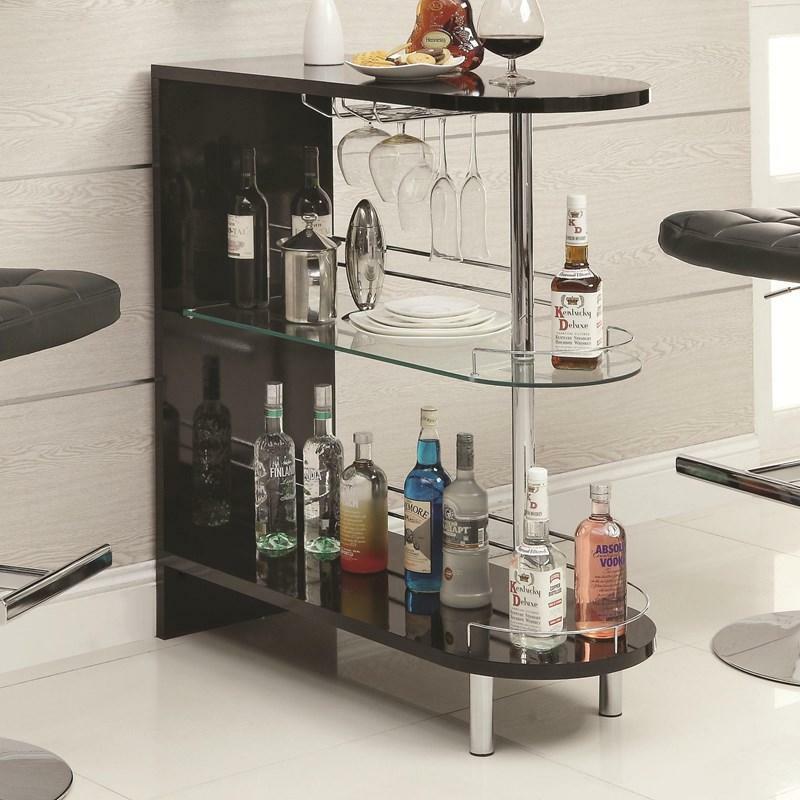 It features clear tempered glass top and shelf, a stemware rack, and two white extra shelves. 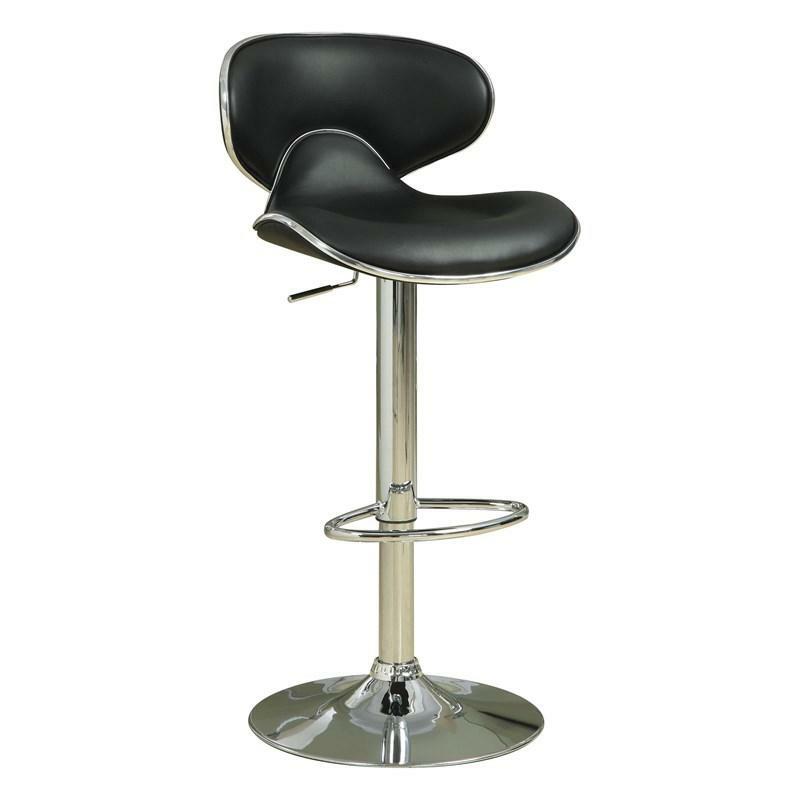 With simple and clean edges, these black stools will add a modern look to your dining or living area. 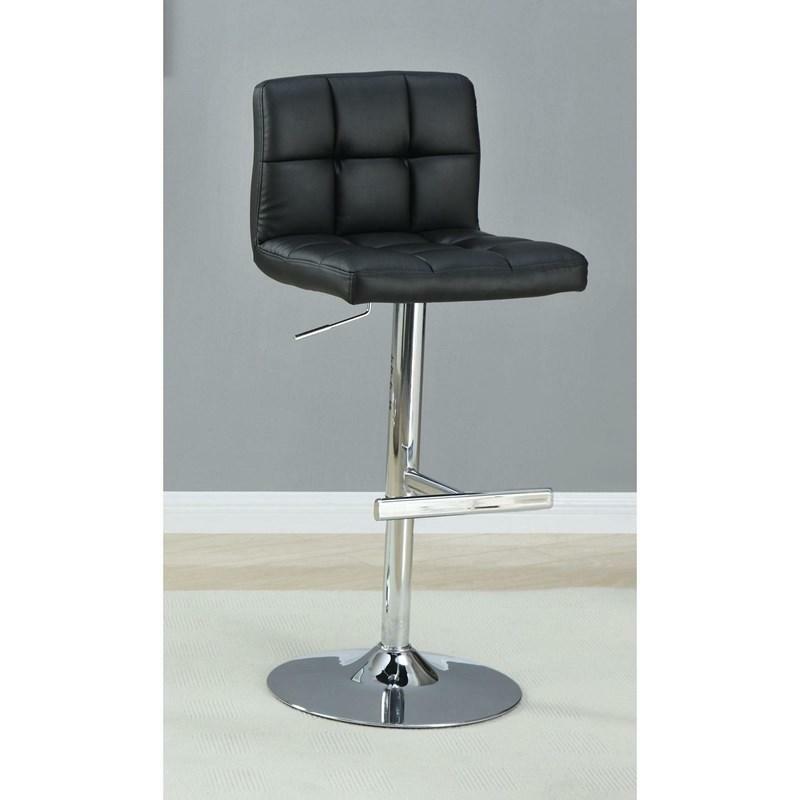 These bar stools can adjust in height as well as an easily swivel, both with a chrome base. 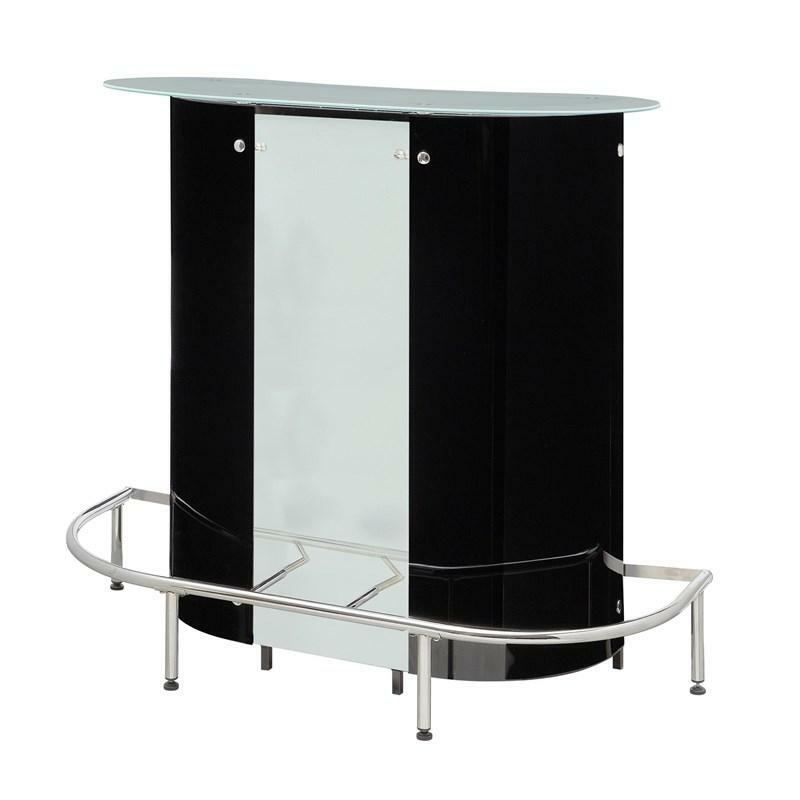 Entertain in style withthis slightly arched bartable in black. 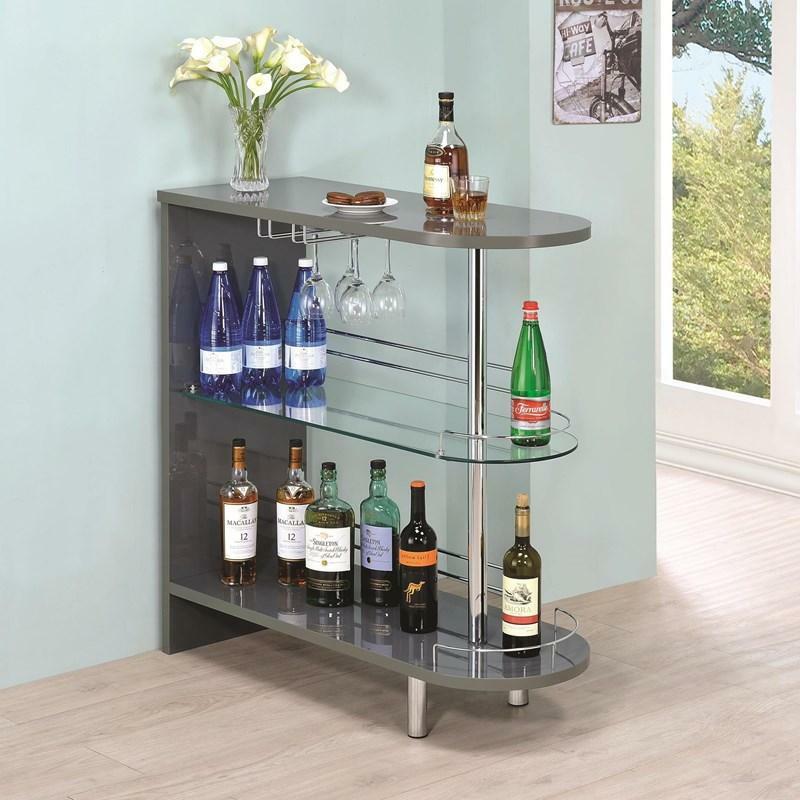 Featuringa stemware rack, 8 bottleholder, and plenty of shelfspace. 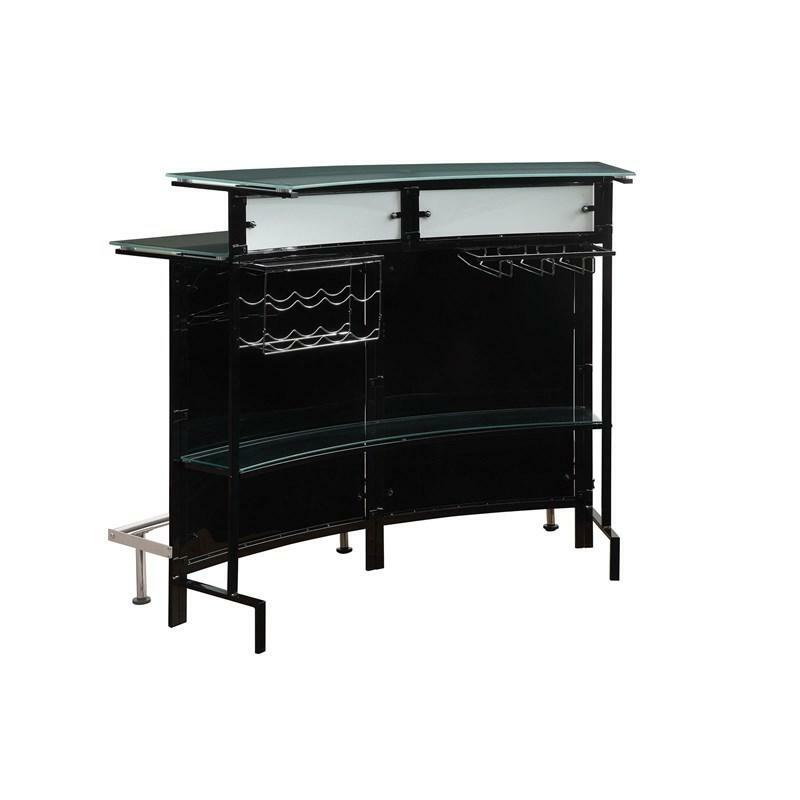 Also two frostedglass counter tops and achrome foot rest makeentertaining easy!